Marcos Rojo and Jesse Lingard ruled out. Alexis Sánchez, Luke Shaw, Marouane Fellaini, Ander Herrera, Nemanja Matić and Scott McTominay doubtful. Ethan Ampadu ruled out. Antonio Rüdiger doubtful. After decades of being non-competitors, Chelsea returned to the domestic title fore in 2003 under new owner Roman Abramovich, who fueled an unprecedented spending spree - starting in the mid 2000s. Since the takeover, Chelsea have won 1 Champions League title, 5 Premier League titles, 5 FA Cup titles, 1 Europa League title, and 3 League Cup titles, among others. Chelsea's most prominent rivalries include local clubs Arsenal and Tottenham Hotspur, title rivals Manchester United, Liverpool and Leeds United. Chelsea play their home games at Stamford Bridge - which had been their home for over a century. Let's go! Aeroplane formation again, Easy 3 Points! We can't defend so hope the new manager throws the kitchen sink at them. Attack them. We are not a defensive team. Just attack. Make them defend instead. Pogba and Matic at centre back please. Lukaku right, Alexis center, Martial left please. Also Mata, Pogba and Shaw should start. Fill in the blank with whatever, who cares. 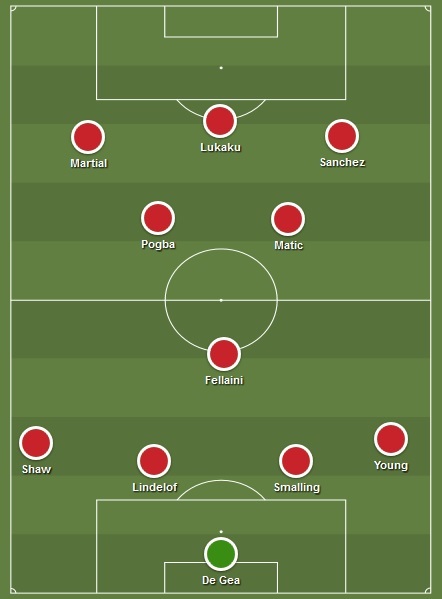 I guess Lindelof comes back in, Sanchez probably in for Rashford, but the midfield is crucial, Chelsea have arguably the best midfield in the PL and I think if he goes with his usual of Fellaini and Matic with Pogba instead of just 1 of them we'll struggle, but I think he'll do it anyway. Irrespective of what's happening with the club, Chelsea away is always tough. It's one of those places. I will be happy with a draw, but win here and our season looks quite a bit different doesn't it? Just hate we've got these pointless internationals to get through first. Pogba and Matic v Morata. What a scary thought. Gonna be our usual annual lose at the Bridge isn't it ? We’ll get battered. Repeat of the 4-0 from Jose’s first season. Hope Martial gets a start here, Arsenal and Liverpool showed that you can create chances against this team so he might be key here with Lukaku out of sorts. I think the last time we got a decent result at the bridge, chicharito scored. Expecting nothing from this one. Just don't get embarrassed. My main worry for this is our defence, it's awful at the moment and Smalling is the only CB who the manager has any faith in at all. I'm usually optimistic but can't see us getting anything out of this. Fingers crossed Hazard gets injured during the international break, that would help. Feeling positive. We'll expose Sarri for the fraud he is and we'll do a job on Hazard. 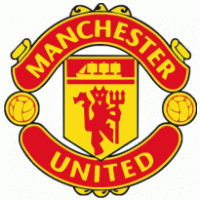 2-0 United. Pogba dropping deep and spraying the ball was brilliant today. More of that. Just go for it at this point. For who? Morata's worse than Lukaku, and it's not even close. I think we will get trounced. I'm gonna go 2/3 nil Chelsea. Jose will sit back and defend. I expect a back 4. In midfield we will have Fellani and Matic Scott and Pogba however Fellani will sit back as a 5 more than likely. Sanchez Lukaku up top in a 4 3 3. God knows what will happen in this game. Time to introspect during the international break. The thought of Hazard, Kovacic and Jorginho against our defence scares me, but if we play like we do after we are 2-0 down, there is a possibility of getting a score draw or even a victory. *By default. can't start Bailly after today and please god not Jones. **I'd like to just say feck it and go for it and put Fred or Pereira in here, their energy would help, especially with Mata. Or drop Mata and play both potentially. Could also seeing it be Fellaini. ***Lukaku isn't working as a 9 at the minute, and he might have more space to run into coming off the right. Also has a great cross on him, set up a goal against these last season. We know he's going to play and he's better out here. This is probably hilariously naive to some of you but feck it, it's not like our way of playing is defensively solid as is, I'd rather just say feck it and attack. Bogey ground, crisis ongoing - great combo for the upcoming game! Chelsea have a weakness in behind their fullbacks that we must exploit. Arsenal did it a lot and had some success. A question for the Jose out fans. Particularly those who want him gone, over wanting United to win. Does a win here go some way to changing your stance on Jose as United manager? Valencia will not play. Ever. Lukaku and Martial need to exploit the spaces around the Chelsea fullbacks and Pogba, Lingard and Fellaini need to attack the central areas. Well he is better than Young defensively and I doubt Jose throws Dalot in against Hazard at Stamford Bridge. He's not better than Young defensively. Did you miss the Newcastle game where he subbed Baily and stuck McTomoney centre half? Oh and mostly for liking the post about Mourihno getting sacked. Mourihno never holds grudges! Chelsea away is always tough whether our form is good, bad or indifferent so I'm actually not that concerned about the woeful first half vs Newcastle and am instead hopeful we can take the second half's belief into this one. We've shown there's still fight in us, so let's show it against quality opposition. What does the Newcastle game and Bailly getting subbed have to do with Valencia though? I'm expecting a 4-0 or something and will be pissed off, but not so much if they end up beating Liverpool to the title. No hope of getting something from this no matter who's in charge. Our record at the Bridge is terrible.